Handmade of high quality Natural Durable Rattan, ECO-friendly, Food-Safe and Non-toxic. Perfect for bread baking lovers. Works for Proofing, Banneton, or Brotform baking techniques. 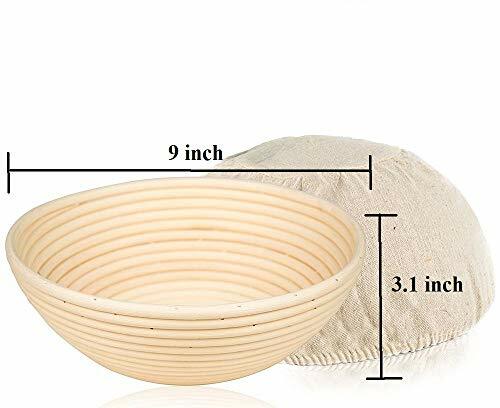 This round banneton proofing basket is great for proofing your dough for your homemade bread loaves. 100% guarantee that you are fully satisfied with your product or receive your money back.